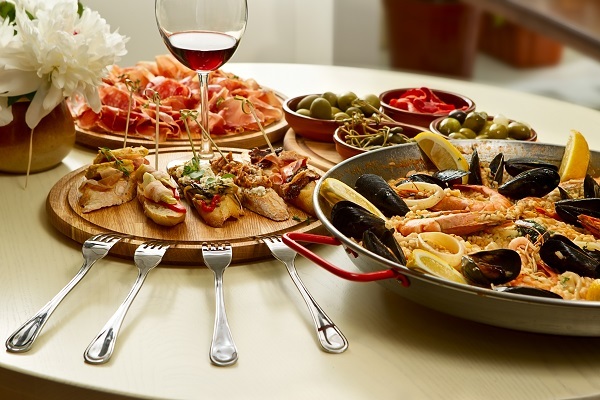 A much-loved European destination, famed for its amazing food – we’re talking Paella - among other things! It is an extremely diverse country, full of places to explore. A hub of culture, a rich history and amazing cuisine, and, thanks to the diversity of the cities and towns within its borders, Spain has something for everyone. Whether you're a party animal headed to the Balearics; an adrenaline junkie headed for Pamplona; or a culture vulture exploring the depths of Madrid or Barcelona - having travel insurance which covers you should you have an accident, fall ill or lose your personal possessions will help you protect what's important during your trip to Spain. Why choose Alpha if you’re travelling to Spain? With so much to see and do in Spain we have come up with a few ideas for you to add to your must-do list! Perfect for the adrenaline junkies among you! 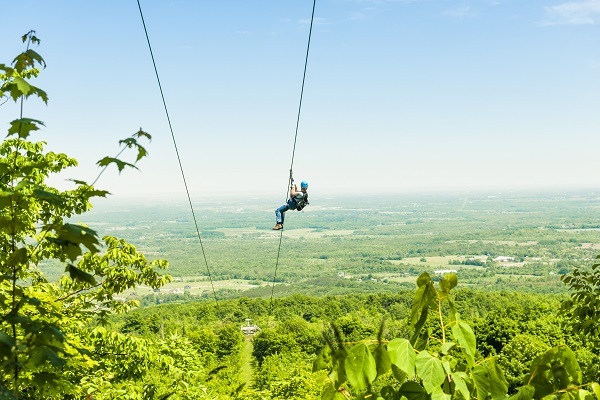 It is the only cross-border zip line in the world. Costing €20 per person, the maximum weight is 110kg and it is located in Sanlúcar de Guadiana. During the 720-metre trip, you will be travelling about 70/80 km/ph and will gain an hour due to the difference in time in Portugal. Officially the oldest restaurant in the world (founded way back in 1725) it would be a crime not to go! Located in Madrid just off the Central Plaza Mayor and famed for it’s traditional hearty food. It has been mentioned in various novels over the years, why not become a part of history? 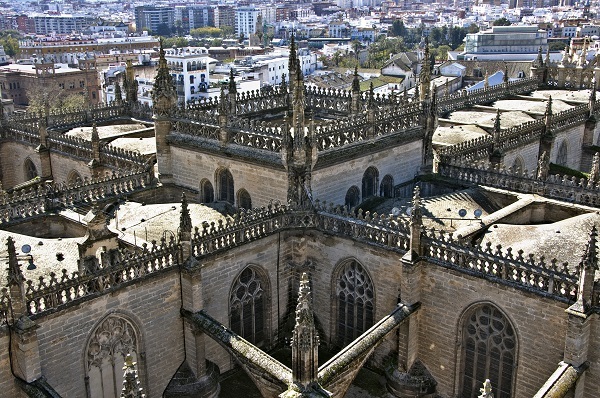 Another record: This is the largest cathedral in the world! Also known as Cathedral of Saint Mary of the See and built between 1402-1506. In 1987 it was declared a World Heritage Site by UNESCO. Tickets range between €5-€15 depending on which view of the Cathedral you want. If you are a British citizen you do not need a visa to visit Spain and your passport just needs to be valid for the length of stay. If you are planning to stay for longer than 3 months, you will need to register in person at the nearest Office for Foreigners, which is generally part of the Town Hall or at Police Stations. We always suggest that you carry your EHIC with you. The EHIC replaced the old E-111 forms from back in the day. They are part of an agreement with all EU countries that if you produce it whilst accessing public medical treatment, the treatment will be cheaper or in some cases, free. If you use your EHIC, we will always waive the medical excess imposed on your policy in the event of a medical claim. If you don’t have one, can’t find it or it’s expired, click here and apply for a new one. The application takes minutes and it arrives in a few days. The EHIC is not a substitute for Travel Insurance. It is to help you receive cheaper and sometimes free health care within Europe. For more information regarding medical advice before travelling to Spain please click here. Currency Euro - Click here for the current exchange rate. Tipping Protocol In restaurants it is customary to leave behind any loose change as a tip unless there is a group of you in which case 5-10% is more appropriate. 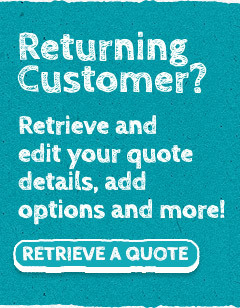 Please be aware that ‘IVA’ on the bill is not included gratuity and is actually VAT. Drinking Age 16 years old. Weather Forest Fires occur here during the Summer months frequently. If exploring or driving through woodland areas; Ensure cigarette ends are properly extinguished, do not light BBQ’s or leave bottles behind. It is a criminal offence to start a forest fire, whether intentional or not. Local Laws/Customs Anyone under 18 is classed as a minor. You must be able to provide photographic ID such as your passport if requested by a police officer. They have the right to hold you until your identity is confirmed. Ignoring or challenging a police officer may be viewed as ‘disobedience’ which is a criminal offence. Some councils have banned the consumption of alcohol in the street and on-the-spot fines may be issued. There are also strict controls on drinking and sexual activity in public places, including beaches.